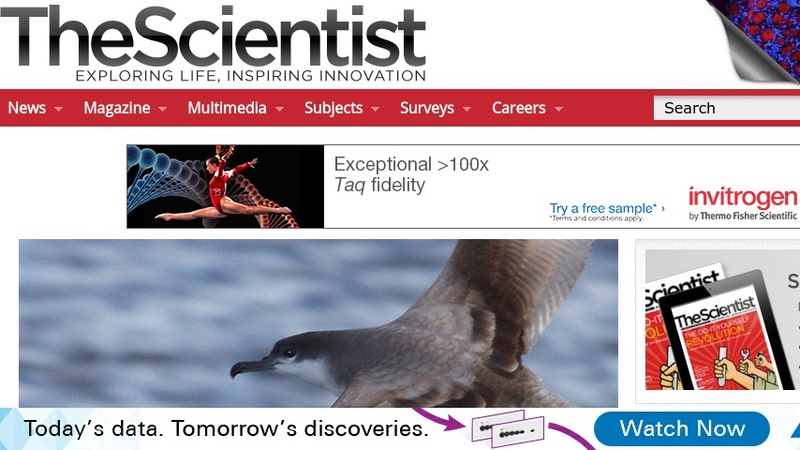 The Scientist is an international news magazine, published in both print and online versions, that reports on and analyzes the issues and events that impact the world of life scientists. Its mission is to provide compelling coverage of the latest developments, including research, technology, and business. Its target audience is active researchers interested in maintaining a broad view of the life sciences. The web site features news articles and discussion of research, the profession, and technology. There are also links to blogs, video and multimedia resources, and links to supplemental articles and survey materials.